In this part of the world, Persia was a central Asian power, the link between east and west. The Babylonians were hunting with broad-mouthed hounds two thousand years before the Molossi were even known. The Assyrians were hunting with broad-mouthed hounds one thousand years before the Molossi were known. Despite this scholars with no knowledge of dogs still try to attribute the origin of the mastiff group to a small isolated group of mountain people in Epirus, rightly famous for a quite different type of dog. Scholars, especially in the Middle Ages when the word mastiff meant any and every huge hefty dog, are the source of much misinformation. They have misled any number of breed researchers who read the word mastiff as synonymous with the name of the modern pedigree breed. 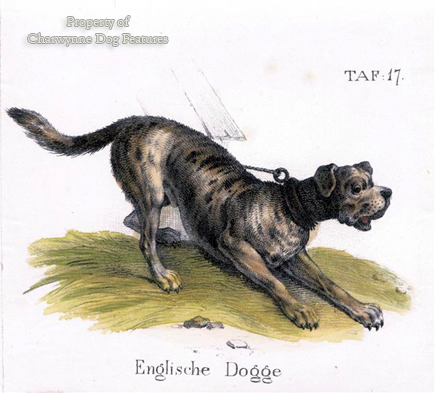 Once scholars started perpetuating the idea that a huge fierce dog from Molossia is a mastiff, their subsequent words fed the tendentious researches of breed historians. In his 'The History of the Mastiff' of 1886, the Rev.M.B.Wynn gave the view that: "Many people therefore erroneously think the word molossus necessarily means a mastiff, whereas the Greeks only became acquainted with the true mastiff about the time of the Macedonian conquest at 336BC." Because the Molossian hound and the Molossian flock-guarding dog were fierce and at times savage (as Aristotle records) they were lumped together with the other "canes pugnaces or bellicosi". Statius wrote of the soldiers of the Molossi weeping over their faithful canine companions slain in the war. But the Molossi used their huge dogs as outpost sentries not as wardogs, as the Hyrcani did. Even in the last century, the Suliot dog (from the Suli mountains in Epirus) was used to guard outposts in the war between the Austrians and the Turks. It is highly significant that the Romans referred to the broad-mouthed dogs as Canes Pugnaces or Bellicosi and not Molossi. Blaine, writing in 1840, makes a number of points for me when he states that: "Linnaeus appears to have erred much in naming this variety (i.e. the bulldog) Molossus...Much of the obscurity which attends the origin of the bulldog has arisen from confounding him with the ancient account of other pugnacious dogs..." He then goes on to make rude remarks about the ignorance of translators "who could not distinguish a bulldog from a cur". 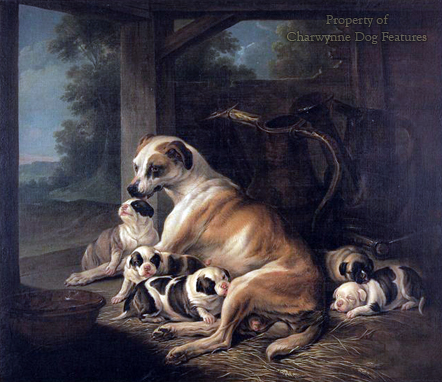 Wynn, writing forty years later, stated that: "Classical writers carelessly or for convenience called any and all dogs approaching anything like the dogs of Epirus in size or character by the common term molossus...classical writers used the word molossians at a later period to embrace the true mastiff and allied groups, and Dr.Caius, Gesner, Linnaeus, and other naturalists followed the classical jumble. Therefore readers and translators should be very guarded how they render molossus as a mastiff, for the true molossian was...identical or almost so, with the modern Suliot boarhound." Scholars and natural historians have I believe compounded their own errors over many many years. By an Asiatic origin however I do not mean one linked to the mountain dog or flock-guarding breeds like the so-called mastiff of Tibet. I consider the Tibetan mastiff to be misnamed and I can never understand why so many writers have linked this fine breed with the origin of the mastiff group. Why choose this breed? Why not go for another yak or sheep-protector/herder like the Bangara 'mastiff', the Bhotia, the Kumaon, the Bisben, the Powendah or the Caucasian Owtcharka. The mountain dogs/flock guardians are not mastiffs in our modern sense of the word. Admirable breeds like the Anatolian Shepherd Dog, the Leonberger and the Estrela mountain dog must not be bred to the design of the broad-mouthed dogs. In this respect, St. Bernard fanciers have in my view already lost their way, now producing specimens quite unlike both their own ancestors and sister breeds of Swiss mountain dog. Loose groupings like Molossers are fine -- as long as they refer to mountain dogs and hounds of the chase and not the seizing and holding or 'gripping' breeds. 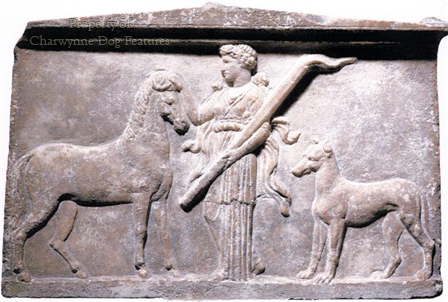 Even the ancient gripping breeds had to run with the mounted hunters; the Molossi bred magnificent huge dogs, and used them, quite separately, as mountain dogs/flock guardians or huge hounds; but they were not mastiffs. The Great Dane is the classic molosser; the mountain dogs are also molossers, but not the mastiff breeds. 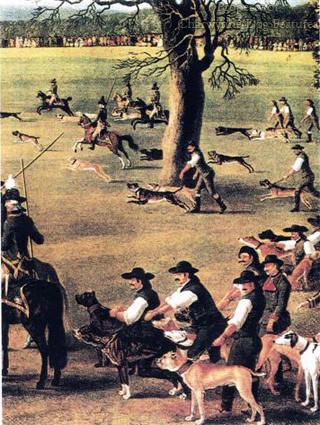 They were the seizing dogs, the big game hunters; guarding sheep was not their forte, eating them was much more their style! As Betteloni wrote in 1800: '...mastiffs from Tartary, molossians from Epirus, hounds from Flanders...' But not even his words can convince kennel clubs and fanciers!